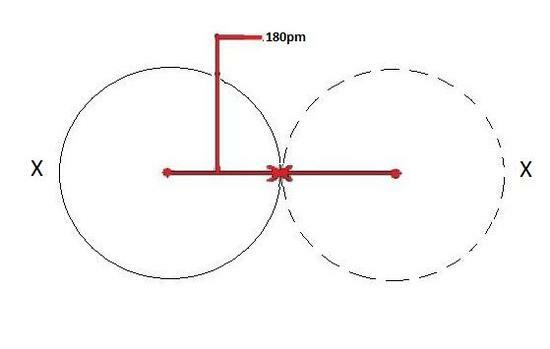 A metallic radius is the measurement of an atom’s size with regards to metal elements only. 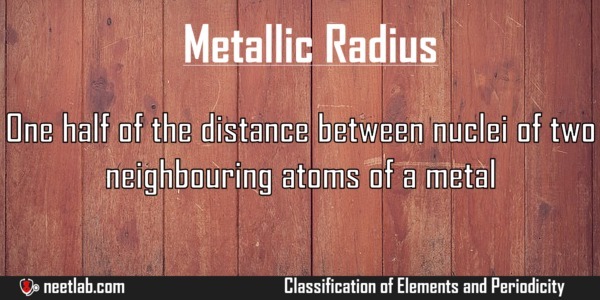 One half of the distance between nuclei of two neighbouring atoms of a metal is called as metallic radii. The distance of each atom will be same because group of atoms are from the same metal. Metallic Radii decrease across the period because of increase in the effective nuclear charge. Metallic Radius increases down the group because new shell is added. Metallic radii are always biggest for the highest coordination number.